A&D Plumbing Inc. - Toilet Repair Services & Plumbers Near Me, In Katy Texas. At A&D Plumbing, Inc., we have over 30 years of plumbing experience. You’ll enjoy lower prices due to our low overhead, and receive nothing but high-quality, professional service. At A&D Plumbing we have a combined experience of over 30 years in the plumbing service industry. We can help you with all of your plumbing problems whether you need us right away for an emergency service or you need to schedule an appointment. Scheduling an appointment is easy and we offer free estimates! A&D Plumbing strives to take care of all of our clients because we understand how important great customer service is and how important it is to do great work. What sets us apart from the rest is that we don’t fail. When we say we are going to fix something, we do it and we do it efficiently. We provide a complete range of plumbing services. We’ve been in the plumbing industry for 30 years here in Katy, TX, and promise you fair pricing. We also service Richmond, Sugar Land, Houston and surrounding areas in Southeast Texas! At A&D Plumbing Inc, we provide a complete range of plumbing services. We’ve been Katy’s plumbers in the industry for 30 years, and promise you fair pricing. Call us today for your FREE estimate! If your water heater isn’t working, you need help right away. That’s why A&D Plumbing Inc offers emergency services and FREE estimates. Call us today to schedule your service! Are you interested in installing a new water softener in your home? Let the professionals at A&D Plumbing Inc help! We’ve been plumbers for 30 years. Call us today to get your FREE estimate! Whether you need new gas lines installed or just want to make sure your gas lines are working properly, call A&D Plumbing Inc today. You’ll get a firm price before we start the work, and will always leave your job site clean. Contact us for your FREE estimate! Whether your sewer is clogged or you think something might be damaged, get in touch with the team at A&D Plumbing Inc. We’ll help you take care of your sewer issues, and even offer emergency services. Contact us today for your FREE estimate! Is it time to upgrade the piping in your home? Do you need pipe repair or replacement? Then, contact the family and locally owned plumbers at A&D Plumbing Inc. We have plumbing experience of over 30 years. Call us today for your FREE estimate! Highly recommend! Excellent service at a reasonable price. 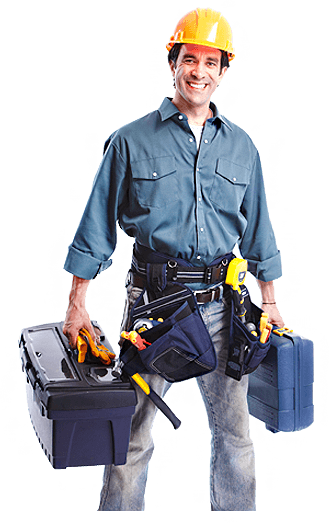 Don has helped me with numerous leaks and other plumbing problems. When it's an emergency, he works hard to get us on his schedule promptly. We really appreciate his great work ethic and honesty! Came same morning that I called, did excellent work, responded to texts as well. Military veteran, master plumber, and nice guy. Will use again.